With Xmas looming, you may have noticed retailers gradually moving bathroom toiletries nearer the front of the store, reminding you its that time of year again..... surprise your nearest and dearest with european imported cosmetics, skincare or perfume. Take a trip up the northern motorway to the BDM Grange factory shop at 14 Piermark Drive, North harbour Industrial estate, Albany (Shop hours Mon to Fri 9am to 4.30pm, Saturday 9am to 3pm). 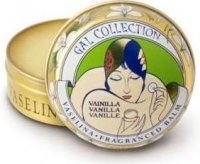 Among the many brands they stock , look out for Clarins, Le tan, Bio Oil, Prada perfume, eco essential oils and aromatherapy, essie nail varnish......also flash vaseline packaged in art nouveau tins from Gal. Take a look at the full range of brands BDM Grange imports here.